Confession and mission go together inseparably, and find their terminus in doxology. In the history of the church, the re-awakening of the impetus to confess the faith has always given birth to missionary endeavours. Cf Luther: "The noblest and greatest work and the most important service we can perform for God on earth is bringing other people, and especially those entrusted to us, to the knowledge of God by the holy Gospel" (Weimar Ed. 43:415). ... The Lutheran Church does not exist merely to be the church of those who happen by accident of birth and upbringing to bear the stamp "Lutheran". Rather, it is her calling to proclaim the Gospel, as it was re-discovered during the Reformation and is witnessed to in the Lutheran confessions, to all the people she can possibly reach. 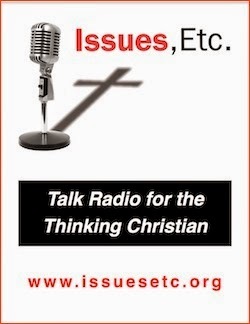 This is being done by Missouri today in a particularly effective, impressive way in the world-wide, missionary radio program 'The Lutheran Hour'. In a similar way, the school system of the Missouri Synod gives evidence of this will to engage in missionary endeavours. A large percentage of the children who attend the excellent congregational schools of this church rather than the public schools come from non-Lutheran backgrounds. In this way each congregation is a centre of missionary activity and is indeed conscious of itself as such. 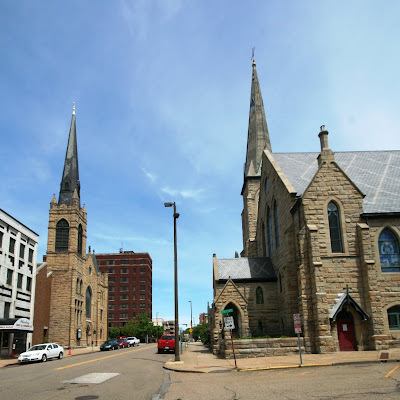 This accounts for the steady growth of the Missouri Synod in all parts of America, as well as the fact that this church body more than any other Lutheran church is able to attract those of other confessions and the unchurched. These undeniable realities ought to move other Lutheran church bodies to study the Missouri Synod instead of getting agitated over the fact that Missouri is not asleep like they are! Note: Sasse had a great interest in and passion for evangelism and missions which is not always evident in academic theologians. One of his lesser known papers is one he wrote for Australian pastors titled 'Problems of Evangelism in the Australian Context'. China: The New "British Empire"? "China is building a blue water navy, even as it is helping to fund and construct ports in Burma, Sri Lanka, Bangladesh and Pakistan. The Chinese will not have naval bases in these countries: India would find that far too provocative, and the Chinese are taking pains so others see their rise as peaceful and non-hegemonic. Rather, these harbors will be visited by Chinese warships and will provide warehousing for Chinese consumer goods destined for the Middle East. China is building a far-flung trading network, ultimately to be protected by its warships -- the British Empire refitted for a 21st-century era of globalization." It didn't surprise me when experts started making the rather obvious prediction that the 21st century would be China's century just as the 19th C. was Britain's century and the 20th C. America's. My grasp of economics may only be at the high-school level (but at least, unlike most theologians and church leaders, I've studied the subject! ), but I understand that a country's wealth and ultimately it's power in the world is dependent on its capacity to produce goods and services that the world wants to buy. Since just about everything we want to buy is now made in China, just as in previous centuries it was made in the industrial powerhouses of Britain and the US, it stands to reason that China is raking in lots of cold, hard cash while most of the world runs a trade deficit against it...Australia excepted, for reasons I will come to explain in a minute. It will come as no surprise to those familiar with history then what China is doing with the wealth its manufactured goods bring it...exactly what Britain did in the lead-up to its period of hegemony on the world stage: it is building a navy to protect its trade routes from competitors and pirates (yes, we still have pirates in the southern seas!) and extending its sphere of political influence to guarantee markets for its goods in the future and thus keep the cycle of wealth production going. Before we are too much further into this century, I predict, China's navy will outgun the US navy, at least in the southern hemishpere. What, do you think, are the likely consequences of that for Australia, which, following the collapse of Britain as a superpower after the highly symbolic and humiliating fall of Singapore in 1942, has relied on the reach of US naval power for security? Now here's the irony in all of this. Why does Australia run a trade surplus with China whereas Britain and the US run deficits? Because we export huge amounts of iron ore, coal and other minerals to China. For example, about 24 coal trains a day pass through the city where I live bound for the coastal ports and eventually China. The Chinese demand for coal is literally eating away some of the best farmland this country has here on the Darling Downs and in central Queensland and destroying local communities in the process. And what does China do with the coal, iron ore, etc.,? Why, it makes steel to build warships, among other things. The End of Ecumenism - So, What's Next? As a continuation of my last post - “The End of Ecumenism?” - I now ask the question: If this is so, what’s next? I suggest* that we will see the end of most of the official dialogues** - unofficial discussion will continue, of course - and a strategic retreat (or is it an advance?) to what I shall call “principled pluralism“, wherein each confession attends to its own house (heaven knows, we each have our burning issues, which are often the same issues!) 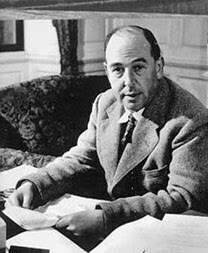 and holds to its own confession as tenaciously as it can, while working together with other confessions in those res externa (external matters) where common witness can be given to the world and legitimate common objectives pursued without compromise of doctrine (thus “principled pluralism“). For example, life matters (the beginning and end of life questions) and other social questions could be addressed with common statements. But, as stated, there would be no compromise on doctrinal matters, no mealy-mouthed language papering over substantial differences, but rather mutual respect in spite of such differences and a commitment to keep inter-Christian relations civil on all levels. In the midst of this, there might even be robust debates in the new media which could further the cause of doctrinal unity to a greater extent than the official dialogues have done to date. There will be powerful forces working against this development initially, both within and without the churches. One could cite doctrinal indifference amongst the laity and clergy ambition within (the ecumenical movement has been a wonderful gravy train for ambitious theologians hoping to make a name for themselves - it was not for nothing that Luther remarked that "ambitious pastors are a pestilence in the church"), and secularism and the liberal agenda without, which will soon become intolerant of robust confession by the churches in the public space. 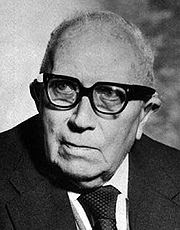 We will also see the devolution of church bodies formed in the ecumenical-modernist era through mergers with insufficient doctrinal consensus (this is already happening), and possibly even the dissolution of centuries-old communions as they break upon the rocks of the liberal agenda (viz. Anglicanism). But, also, alliances will be formed across confessional boundaries because of a common commitment to fundamental articles of faith, e.g. authority of scripture, trinitarianism, justification. At the end of this period, I suggest, paraphrasing Dr Sasse, it will be found that those church bodies which have held to their confessions (i.e. their doctrine) will actually be closer to each other than ever before, because closer to their Lord, their faith having been refined as if by fire. ** Orthodox-Catholic dialogue may continue, although I believe papal primacy will be the sticking point on which neither side will budge. Those weary of the equivocal language customarily used at ecumenical gatherings will find this address by the head of the Department of External Relations of the Russian Orthodox Church, Metropolitan Hilarion of Volokolamsk, refreshing indeed. Given at Lambeth Palace, the London residence of the Archbishop of Canterbury, earlier this month, it addresses mainly Russian Orthodox-Anglican relations (this is one of the oldest ecumenical dialgues, with an unofficial inception well before the modern ecumenical movement inspired by the Edinburgh World Missionary Conference of 1910 began) but has wider implications for mainstream Protestant church bodies which have historically valued ecumenical dialogue but have, like large parts of world Anglicanism, succumbed to the liberal agenda. 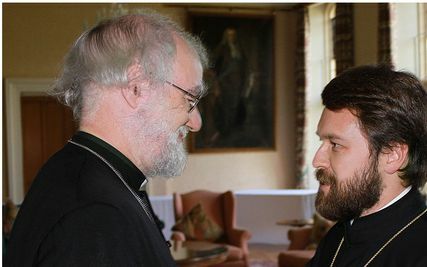 We are concerned about the fate of [the Anglican-Russian Orthodox] dialogue. We appreciate the proposal Archbishop Rowan Williams made this year to exclude from the dialogue those Anglican churches which failed to observe the moratorium on the ordination of open homosexuals. But we regard this proposal as not quite sufficient to save the dialogue from an approaching collapse. The dialogue is doomed to closure if the unrestrained liberalization of Christian values continues in many communities of the Anglican world. The italicisation of the final two crucial sentences is mine. Hilarion's sentiments remind me of something Hermann Sasse once wrote, and I quote from memory: There are some matters that are not subject to dialogue. Given the historical significance of this particular dialogue, and the Pope's recent opening of a door into Catholicism for Anglicans en masse, I think we are witnessing the end of the modern ecumenical project, exactly 100 years after it's formal inception. Read the whole thing by clicking on the post title. The pic shows Williams and Hilarion in discussion - I wonder what was said after the address? I think Hilarion will be the next Patriach of Moscow; as a relatively young man he will have a long reign in that position and a very significant one in terms of world Christianity because it will see the Russian Church assert itself in the wider world over against both Constantinople and Rome. If it happens, remember, you read it here first! "LONDON - The first state visit by a pope to Britain, a country that unceremoniously broke with the Vatican over Henry VIII's divorce in the 16th century, seemed doomed to controversy from the start..."
Thus begins The Washington Post's background piece on Benedict's current visit to Britain (click on the post title to read). Spot the error? "Britain" was not a country at the time of the Reformation. The name then referred to the island of Great Britain, or perhaps to the Roman colony of the dim and distant past. 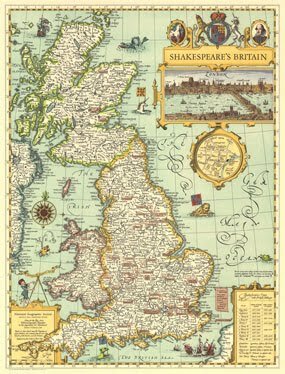 But Britain did not come into existence as a nation state until at least 1707, with the union of the English and Scottish parliaments, nearly 200 years after the Reformation. And, in any case, the English and Scottish reformations were quite different in inception and development, a matter which is quite important to note given that the Pope is landing first in Scotland. At best, the reference to Britain as a country at the time of the Reformation is an anachronism, at worst it is a basic error which reveals a woeful ignorance of religious and political history. Pedantic? Many today might say so. But just consider that these are all historical facts that schoolchildren were once expected to know, at least in the Commonwealth nations. Newspapers of public record and substance should get such things right. Just think how many editorial eyes must have been cast over this report before it went to print - not a thought to inspire confidence in the Post. And then consider further just how much this might reflect the general ignorance in our culture of the English Reformation and the benefits that accrued to Western society from it, that it can be reduced so often in the public imagination, and in supposedly informed commentary, to an unceremonious break with Rome over a divorce. If that's all it was about, what could possibly prevent Anglicans today from returning to Rome? The Vatican has decreed that in his upcoming visit to Great Britain Pope Benedict XVI will use Latin for the preface and canon in each mass he says in public. Now, there are certainly things in the canon of the mass that are more offensive to the Gospel than the use of Latin to intone them is, but for the moment let's set them aside and ask why has this decision been made? According to the Vatican official charged with such responsibilities, the purpose is to give expression to the universality of the faith of the (Roman) church. But this seems passing strange, since Latin is hardly a universal language anymore - even in the Roman church - and arguments to the contrary usually just prove the fact! And, in any case, catholicity or universality of the faith is expressed by being one in the Gospel, not by worshipping in the same tongue, which seems to be the implication of this move. Don't get me wrong, I'm all for reclaiming the knowledge and usage of Latin, not least because a working knowledge of the language is highly desirable for the Lutheran pastor who subscribes to confessional documents written in Latin. But we are talking about liturgical language here, which is something quite different. As the Anglican Articles of Religion so aptly put it, it is "repugnant to the Word of God, and the custom of the Primitive Church to have public Prayer in the Church, or to minister the Sacraments, in a tongue not understanded of the people". To be sure, the Lutheran Church was initially more conservative in its approach to the language question in worship than the Church of England, retaining Latin in some places, particularly university towns, but introducing German hymns and an optional, simplified German mass for the common people. But the same principle which the Anglican articles later espoused was made clear in the Apology of the Augsburg Confession: the purpose of worship - to "conceive faith and fear of God, and obtain comfort, and thus also... pray" - was thwarted when it was not conducted in a language understood by the common people, and the belief that the words of the Divine Service were effective ex opere operato , by the mere hearing without understanding, was denounced as "a Pharisaic opinion". But, evangelical concerns aside, the strangest thing here is surely the irony attached to intoning the most sacred parts of the Roman mass in a language that few present will understand without the aid of a translated text before them, for the purpose of expressing universality, in the very homeland of the language which over the last several hundred years has conquered the world and become its true universal language, displacing Latin and every other contender (i.e. French!) in the process. Evidently the irony in this is something of which the Vatican is entirely oblivious. Yet another example of Rome contra mundum on the wrong issue...again! 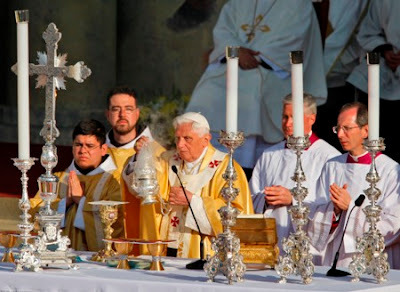 Actually, setting the irony aside for the moment, I'm quite happy the Pope decided to recite the canon in Latin on his UK trip; it at least means that many who watched the Masses either on TV or live didn't get to hear the terrible prayers which turn the sacrament into a sacrifice. A short while ago I speculated on this blog that while e-readers like Kobo and Kindle might not kill the book, the advent of Google Books and such-like threatens the existence of second-hand bookshops, at least as far as theology goes (I suppose collectors will continue to buy old books, but that's a part of the market I'm not familiar with. I don't have the income or space to collect books as an investment or a hobby, I buy only what I really want to read). Here's an example of what I mean. I've long wanted to study Johann Albrecht Bengel's Gnomon of the New Testament (Bengel, 1687-1752; Gnomon 1742). It's been on my on my wishlist for several years, and eventually I may have tracked down an affordable reading copy through the American Book Exchange or similar. Now I don't need to - Bengel's Gnomon is available at Google Books. 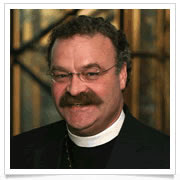 Bengel has a good claim to be one of the most remarkable theologians of the Lutheran Church (the fact that he isn't generally recognised as such probably has to do with a particularly eccentric aspect of his theology, which we'll come to shortly), and the Gnomon is his commentary on the New Testament. 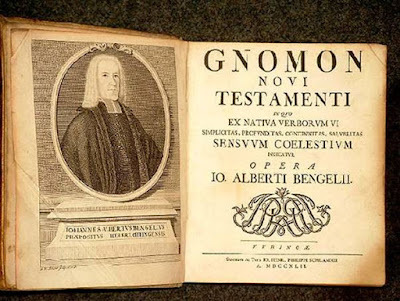 In fact, through his authgroship of the Gnomon, Bengel could be regarded as the pioneer of the modern Bible commentary. But that's not his only claim to fame, for he was also a pioneer in the textual criticism of the New Testament - the comparison and evaluation of textual variants in order to determine the most accurate text - publishing a Greek New Testament with Critical Apparatus (textual criticism is not to be confused with so-called "higher critical" methods of interpretation; textual criticism aims at providing us with the most accurate biblical text). And as if that wasn't enough of a contribution to theology for one man, he is also generally credited with inaugurating the salvation-historical interpretation of scripture. This is the understanding that while the Bible contains many genres of writing, it is above all else a meta-narrative, the great story of God and man and God's battle with the Devil for mankind's soul, a story which is yet to end (though we already know how it's going to turn out). Bengel's insights in these areas progressed the science of biblical interpretation in Lutheran circles and beyond. He was also an adherent of the historical-grammatical method of interpreting scripture which Luther advocated. As an exegete he was second to none in his own lifetime and can still be read with profit today. It is said that Bengel could convey in two sentences what it took others two pages to say. John Wesley's Notes on the New Testament, which were widely-read and extrememly influential in the English-speaking world long before Bengel was translated, were largely a paraphrase of Bengel. Mention of Wesley leads us to another important aspect of Bengel's life and work - he was a Pietist, and it was the confluence of his pietism with his salvation-historical reading of scripture which threw up one of the most interesting, if erroneous, of his beliefs: his chiliasm or millenialism, viz. the belief that Christ would soon return to establish an earthly kingdom and reign with the saints for a thousand years before the final judgment. This is what actually piqued my interest in Bengel's work way back in seminary. You see, dear reader, the influence Bengel's chiliasm extended even into the confessional Lutheran circles in Germany which had arisen from the ashes in response to the 1817 celebration of the 300th anniversary of the Lutheran Reformation - and this influence was in spite of the Lutheran confessions' unequivocal condemnation of such views - such, we must understand, was the respect that the name of Bengel invoked. Apocalyptic thoughts were in the air at the time - Napoleon had been regarded by many as the anti-Christ himself, a belief Tolstoy placed into the mouth of one of his characters on the very first page of his epic novel, War & Peace, which explores the impact upon several Russian families of Napoleon's invasion of that vast land. And mention of Russia enables me to draw together the final threads of this post and explain further the genesis of my interest in Bengel - for those who are still reading. A group of earnest confessional Lutherans - Old Lutherans as they were known - who had been misled by their respect for Bengel to accept his millenial views, to the extent that they believed that Christ would return in 1836 (even the date is often attributed to Bengel, I want to determine if this is so) sought to emigrate to Russia which, being in the East, they reasoned, would be one of the first lands on earth from which the Second Coming would be visible. Their leader, August Kavel(1798-1860) attempted to obtain the necessary passage for his group in Hamburg, but came up empty. However, all was not lost, as while he was in that great maritime city he learned of an agricultural settlement in the free colony of South Australia being organised by a pious Scottish Presbyterian, George Fife Angas. The emigration passed through much travail, but the long and short of it is that Kavel and 596 devout Lutheran souls landed late in 1838 in South Australia, thus establishing the Lutheran presence in this country*. So, in a roundabout way, in addition to all his other notable achievements, if it were not for Johann Albrecht Bengel the Lutheran Church of Australia might never have come into existence; or if it did, it almost certainly have been cast in quite a different mould from what it was and is - God really does work in mysterious ways! Undoubtedly, Kavel's people would have been greatly edified by Bengel's commentary on the New Testament as mediated to them through Pr Kavel's sermons and devotions. But, as hinted, Bengel's influence on the infant Australian Lutheran church was not entirely wholesome; I might blog about that in the near future. For now, I'm off to peruse the Gnomon. Auf wiedersehen! *Actually, there were two Lutheran missionaries already in Adelaide when Kavel arrived, working with aboriginal people on the banks of the Torrens River. And there was a recently established colony of Lutheran artisans in Brisbane, or Moreton Bay as it was then known, sponsored from Germany by "Father" Gossner as a mission settlement to attract the native peoples to Christianity. But let's not let facts get in the way of a great story! Perhaps we'll have time to explore those interesting but neglected figures another time). "In God you come up against something which is in every respect immeasurably superior to yourself. Unless you know God as that-and, therefore, know yourself as nothing in comparison- you do not know God at all. As long as you are proud you cannot know God. A proud man is always looking down on things and people: and, of course, as long as you are looking down, you cannot see something that is above you." ...which prompts this question: Is the decline of Christianity in the West directly related to the inculcation of pride in people as a virtue (the cult of the self), or is the latter phenomenon directly related to the decline of Christianity? Now that Pr Matthew Harrison's official installation as president of the Lutheran-Church Missouri Synod on September 11 is drawing near, his official web page is up and running at the LC-MS website. Amongst other things, this page will link to sermons, speeches, articles and regular 'Lutheran Witness' columns written by Pr Harrison. I cordially suggest to my readers that you keep up with Pr Harrison's writings, as I'm sure you will be blessed thereby (click on this post title to be taken there). I had the opportunity to meet Pr Harrison in 2000, when we naturally enough discussed Dr Sasse and Pr Harrison kindly signed my copy of his recently published translation of Sasse's essay 'Union and Confession', the first instalment of a project which has since expanded into 'The Lonely Way' series published by CPH. I also have a link in my correspondnce column to Pr Harrison's personal blog, Mercy Journeys, where you will find much of value. I wonder if Pr Matt will have time to keep that up now? We at the old manse want to assure Pr Harrison of our constant prayers for God's blessing upon his tenure as president of that august body, the Lutheran Church-Missouri Synod, which, as Pr Harrison reminded me at the conclusion of our conversation ten years ago, Dr Sasse regarded as the last, great hope of confessional Lutheranism..
"The Reformed conception of an evangelical church embracing both Lutherans and Reformed has come to have considerable importance in the history of the church. It has determined the ecclesiastical policy which the Reformed Church has adopted in its dealings with Lutherans from the days of Zwingli and Calvin down to the present. This explains the persistent struggle of Calvin and his followers for recognition, in the Religious Peace of 1555, as adherents of the Augsburg Confession. This explains the opposition of the "Great Elector"to the distinction between the "Reformed" and the "adherents of the Augsburg Confession" in the Peace of Westphalia, and his advocacy of the term "Evangelical" as a common designation for both Lutheran and Reformed. This explains too, why none of the German Reformed princes had any conscientious scruples at all about converting, or merging, the Lutheran Church of their territory into a Calvinistic church...for every genuine Calvinist, the Lutherans do not form another church, but only a backward part of the one evangelical, refomed church, which needs help to finish what is still wanting to make it completely reformed." Hermann Sasse, Here We Stand (trans T. Tappert), Augsburg Publishing House, 1946, rights later assigned to Lutheran Publishing House, Adelaide. Continuing Sasse's complaint, we might add today that this further explains why Reformed folk assume they can take communion in a Lutheran church, become members without receiving instruction in the Lutheran faith, and even hold office in a Lutheran congregation without being Lutheran. And watch out for the offence that is taken if it is carefully and pastorally explained that this is not how we Lutherans operate - we are then deemed not only to be "insufficiently reformed", but perhaps not even Christian! I mean no offence to any of my readers who may be Reformed. In fact, I take it that your reading of this blog suggests a sincere interest in the faith of the Lutheran Church and a respect for it, which in turn adds to my respect for you. But the prevalence of that other type of Reformed churchman, with the accompanying arrogance and ignorance, causes no end of headaches to this Lutheran pastor, and I assume, to others as well. Sasse puts his finger on the reason why, we are viewed by them merely as "a backward part of the one, evangelical reformed church". And boy, ain't we recalcitrant! I've had the following extract from CFW Walther's Law & Gospel on my computer desktop for some time awaiting publication here. I happened to see it quoted in the comments section of Gene Veith's blog recently, which prompted me to finally post it. What can we say about Walther? Like Luther he was not exactly a handsome chap, but what a champion for the Gospel! Just look at those dark eyes "aglow with praise of God" (see the quote), looking through us as his mind reflects on some eternal verity. Walther's "Law & Gospel" has recently been revised, reformatted and republished by Concordia Publishing House. I received an old copy of this book from a retired pastor a couple of months before I went to seminary and spent my spare time in my first year marking it up with notes. To my regret, we didn't study it at sem. From CFW Walther, Law & Gospel, 19th Evening Lecture. When it comes to the pastor's prayer life, I note that there is something of a revival of the daily office among Lutheran pastors. I prefer to follow Luther's advice and keep it simple; "...pastors are now released from the useless and burdensome babbling of the seven canonical hours of prayer. I wish that, instead of these, they would read each morning, noon, and evening only a page or two in the catechism, the prayer book, the New Testament, or something else in the Bible. They should pray the Lord’s Prayer for themselves and their parishioners. Cf. Sasse, "I am a simple Lutheran who prays the catechism every day." 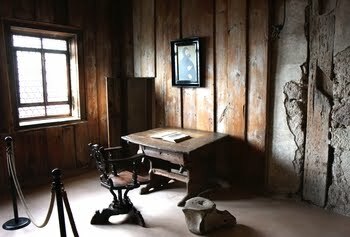 Pic: Luther's room at the Wartburg. 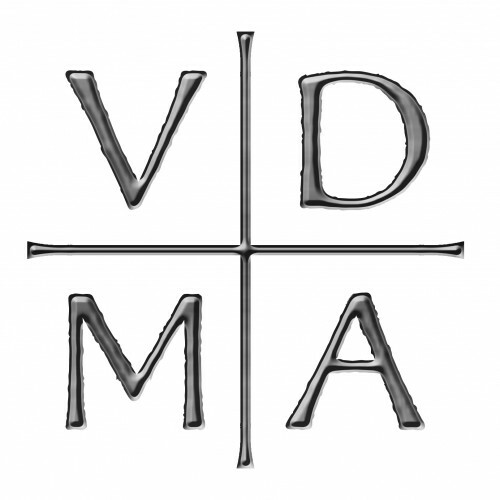 Seismic Shift in World Lutheranism? The formation of the North American Lutheran Church by disillusioned former members of the Evangelical Lutheran Church in America has been a long time coming but nevertheless has made the secular news, even in far-away Australia, where happeneings in the Lutheran world rarely cause a blip on the secular news radar. What has not been reported or commented on much, however, is the presence of representative leadership from the Evangelical Lutheran Church of Tanzania and the Ethiopian Lutheran Church - Mekane Jesus at the convocation. These two bodies are officially the 2nd and 3rd largest Lutheran church bodies in the world - 1st is Sweden, but since church membership in Sweden is 95% nominal I think these two bodies are actually 1st and 2nd largest respectively. Just as has happened in Anglicanism so also in world Lutheranism over the last two decades the centre of gravity has shifted to the Global South, which means that attempts at revision of the traditional teaching on homosexuality in Lutheran World Federation* aligned churches are not likely to go without vigorous opposition from within that organisation. What is at the moment a slight but noticeable tremor could in fact be the harbinger of a seismic shift happening in world Lutheranism which will alter its landscape completely. Lutherans around the world celebrated the creation of the NALC. Two of the largest Lutheran churches in the world sent official representatives to the Convocation. Representatives of the Evangelical Lutheran Church in Tanzania and the Ethiopian Evangelical Church Mekane Yesus told the Convocation of the support of their church bodies for the NALC. These two church bodies from Africa are the second and third largest Lutheran churches in the world, each with 5.3 million members. They reported that Lutherans throughout Africa were praying for the Convocation and for the NALC. Karagwe Diocese, preached for the closing worship service and participated in the installation of Bishop Spring. * For non-Lutheran readers, world Lutheranism is grouped around two bodies, the very large Lutheran World Federation which formed in 1947 and has been dominated until recently by liberal elements in European and North American Lutheranism, and the much smaller and theologically more conservative International Lutheran Council, which is led by the Lutheran Church-Missouri Synod. For largely historical reasons connected to a church union in 1966, which I will not go into here, the Lutheran Church of Australia has maintained associate membership in both organisations.